At last a rain free day! 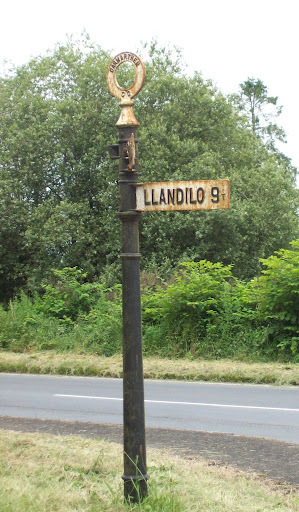 So today I thought I would ride from home in the village of Llanddarog and keep on lanes where possible and head towards Carmarthen along the Tywi Valley and back on what one could call a ridgeway in between two main roads. By the National Botanic Gardens I realised it was going to be a warm ride and took off a layer and carried on to join the B4300 and turned west towards Carmarthen. There is a set of traffic lights on this stretch which must be heading towards the record for length installation. The reason being that the Afon Tywi is undercutting the road and no doubt the cost of shoring this up is off the scale. 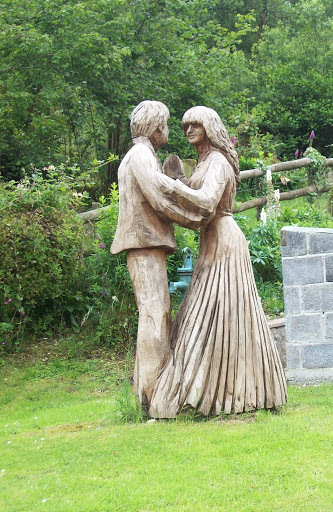 I passed one house where there is a fine wood carving in the garden. 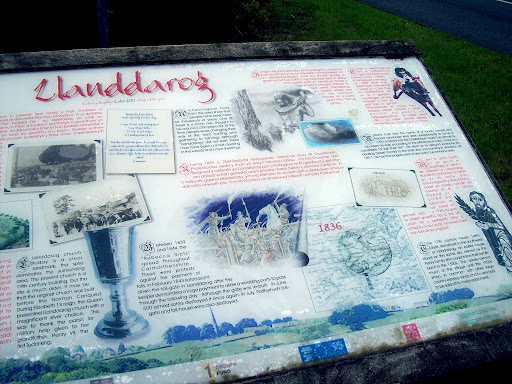 Opposite the road to Llangunnor Church (worth a visit) I turned uphill and headed for the “ridgeway”. I am not sure how the Tour De France grades its climbs but to me it was at least a category 2 (or more). However engaging the granny gear and with a few stops to admire the view I made it to the top, where I had a welcome stop to devour a banana. My route now turned east and headed back towards home. 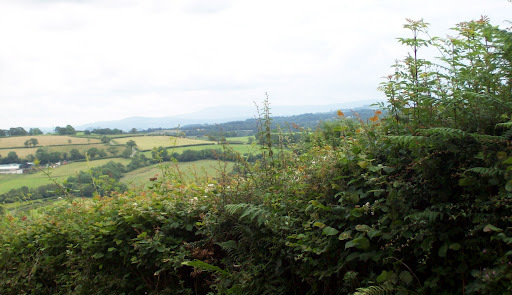 There were quite a few ups and downs – which can be seen by clicking on my route map but also some fine views to the Tywi Valley and further east to the Carmarthen Fans. 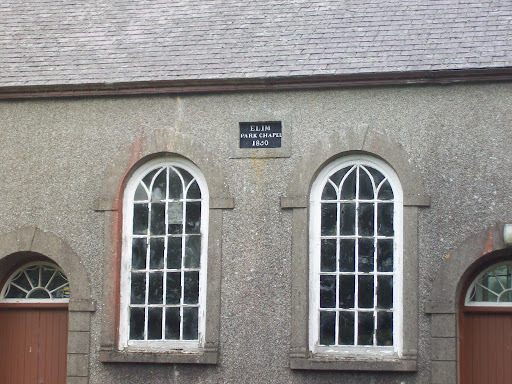 I stopped by an old chapel which looked a little sad and probably no longer used. Outside the chapel was a post box and a postie stopped to empty it. She explained there is rarely anything in it as there are few properties hereabouts, but despite passing this every morning at 0800 she is not allowed to check it until later in the day! 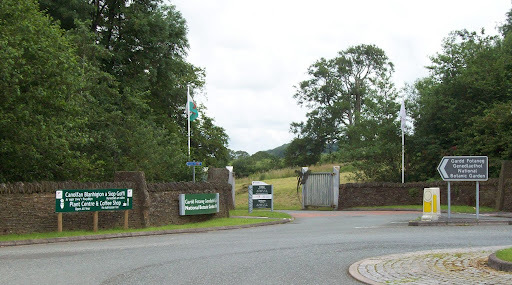 I arrived back home some 2.30 hours after starting and felt just a little tired, but this was my longest ride and apart from the trip to Brechfa forest the one with most hills. All good practice. I hope you get some more rides in before your op. Just came across this straight after posting the above comment and thought you may be interested: http://sustrans-info.org.uk/6EB-V87Q–C5EHT-1/c.aspx6IBTVJ – that link doesn't seem to work but got to Sustrans website where there are details of a new 84 mile Welsh circular cycle ride. I know the roundabouts – even the local drivers just hope for the best. I am glad that you found my fellow countrymen welcoming and helpful. I have not been able to find the info about the Welsh circular ride on Sustrans, but that says more about my IT skills than Sustrans. Would that be cross country or round the coast? Across country. 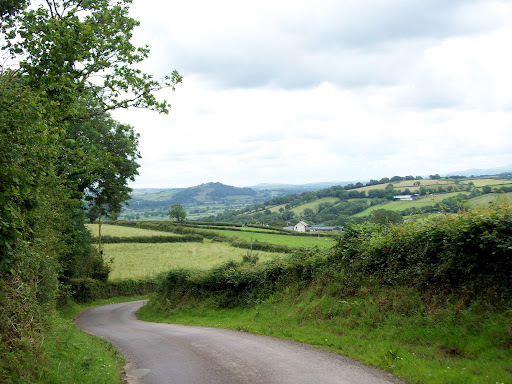 It should take in a route down through the Clyne Valley which is a cycle/walk route. May try this on the coming Friday as I have to be in Llwynhendy to take my grandson to school.